HairFinity came to my rescue just when I needed it most. I turn 50 this year and thinning hair runs in my family. Well, one day I looked in the mirror and to my horror, I could see my hair was thinning! When did that start? How could I stop it? I was in a total panic. I could see my aunt and their really thin hair-line in my mind. Then I discovered HairFinity and started taking two a day in the morning. After about two weeks I could tell a difference. When I took a shower I didn’t lose as much hair. When I brushed my hair I didn’t lose as much. I could see my hair growing back and actually becoming thicker. I was so happy! 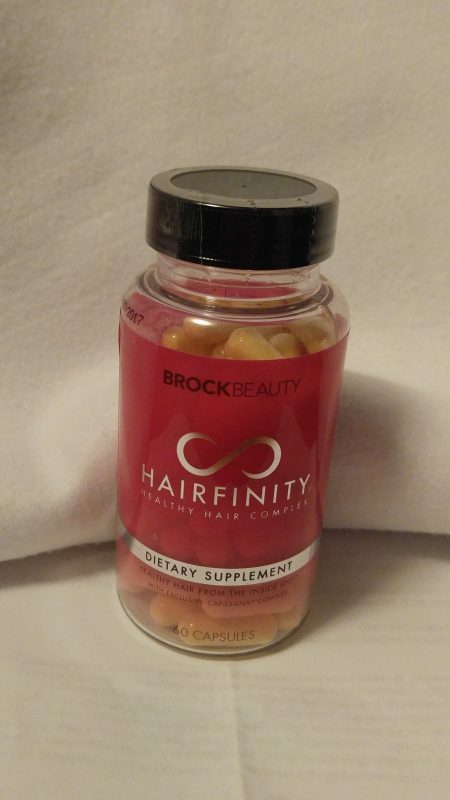 Brock Beauty has discovered how to make your hair healthy from the inside out. When I turn 50 I do not have to worry about going bald! I am so thankful that I found this and it works. I love it and I am sure that you will too, if you are in the position to need it. Vitamins A and D the help provide antioxidants that help promote healthy hair and scalp. Niacin for blood circulation of the scalp. Pantothenic acid helps to strengthen and nourish the hair follicle. Vitamin B12 promotes oxygen to the scalp and follicles. Biotin promotes growth of existing hair, produces keratin and increases hair’s elasticity. Vitamin B1, B2, B6, C, folic acid and calcium. This unique formula nourishes your hair from the inside out. Promoting strong hair, hair with elasticity and a healthy scalp. The exclusive capilsana complex delivers a blend of: hydrolyzed collagen, MSM, silica, 18 amino acids.